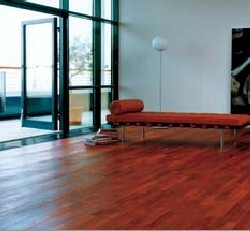 Junckers floors offer a genuine, timeless appearance - a captured beauty that only a solid wood floor can reveal. All our floors are solid, extremely durable, and produced with uncompromising quality - which in turn makes them the natural choice for most any room in your home, office, or store. Junckers floors are produced in a wide array of beautiful colors and exciting species. Junckers floors are available in a number of beautiful and durable finishes, each designed to enhance the characteristics of the floor. Choose a urethane finish, which gives extra strength and an illustrious glow, or penetrating oil, which gives a warmly-refined silky impression and brings out the natural structure of the wood.